This is one for all you Disney fans. 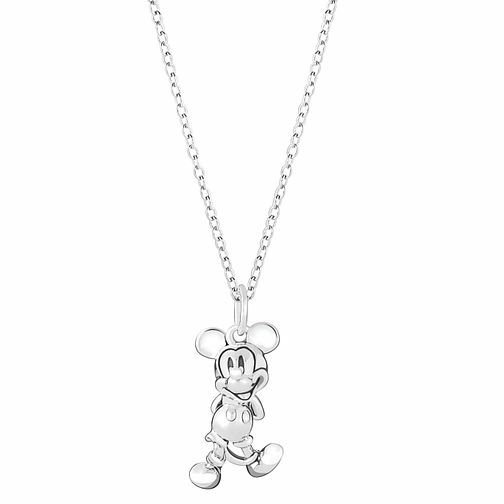 Styled in sterling silver, this Mickey Mouse pendant necklace is the perfect addition to any Disney fans Chamilia jewellery collection. Chamilia Disney Mickey Character Necklace is rated 4.0 out of 5 by 1. Rated 4 out of 5 by Anonymous from Cute but snaps easy My partner got me this as a gift and well am glad he paid extra for the cover as it has been in the shop getting fixed more times then I have worn it! The chain in my eyes is too weak for the charm and with any slight movement the chain has snapped four times now! The store has told me it is because I have long hair, but I have long hair when I wear other necklaces and they don't snap! It is very cute and a great buy for any Disney fan but would recommend taking cover just incase!! !